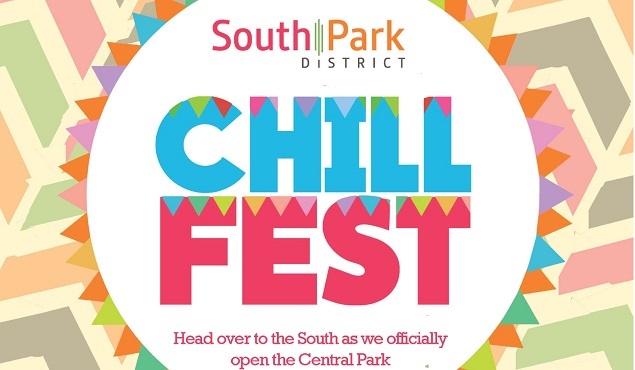 The Chill Fest is a free for all outdoor festival happening on November 14, Saturday from 4:00 P.M. onwards, at South Park District, located along National Road in Muntinlupa City. The festival puts together the artists behind Tunog Natin! to perform live OPM songs , perfectly attuned to the South’s laidback feel. Headlining the OPM party are artists Princess Velasco, Markki Stroem, and Thor Dulay , joined by Jaq Dionisio of Kiss Jane, Jason Fernandez and Davey Langit. 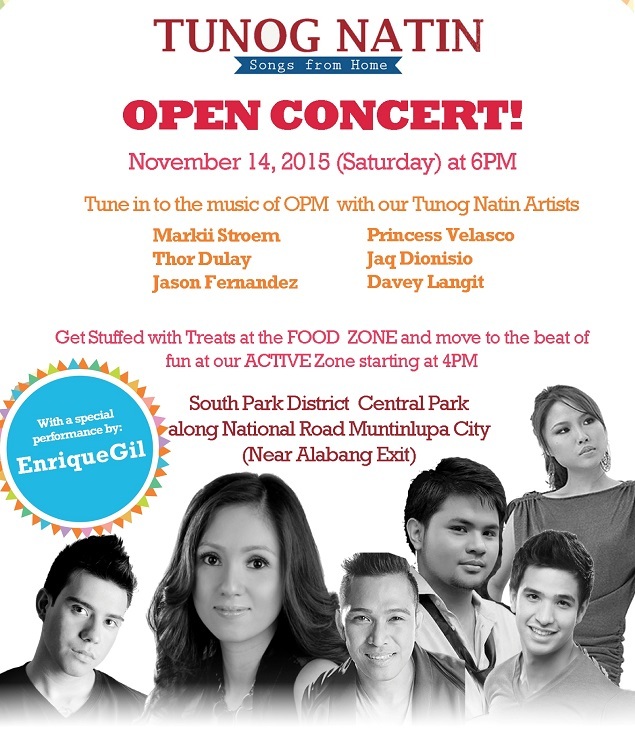 The festival also features a special performance by Enrique Gil. Giant inflatables and life-size pages off coloring books will be in place for guests to enjoy and while their time away with. A pre-Christmas bazaar of active lifestyle brands, with promise of great discounts up to 80% off, is also available under the Avida Weekend Red Sale. To top it all off, food booths offering Filipino cuisine will be up for the taking at the Chill Fest, in support of the Philippine Culinary Heritage Movement. This will feature an array of dishes highlighting heirloom Filipino food products and agricultural produce. So, head on south for a day packed with good vibes. Join the Chill Fest and explore the offerings of South Park District’s Central Park. From SLEX Southbound: Exit at South Station. Drive straight, taking the road in front of Star Mall under Alabang viaduct. Take the middle lane, then turn left on National Rd. towards Petron. Drive a few meters, and to your left will be South Park District. From San Pedro, Laguna or Susanna Heights: Take National Road, drive North past Muntinlupa City Hall and Bayanan Flea Market. South Park District will be to your right, 1 km away from SLEX.